FROM TOURING TO NEW ALBUMS: A BUNCH OF DOLLYROTS NEWS! Hey Ho US residents; more specifically Los Angeles peeps. 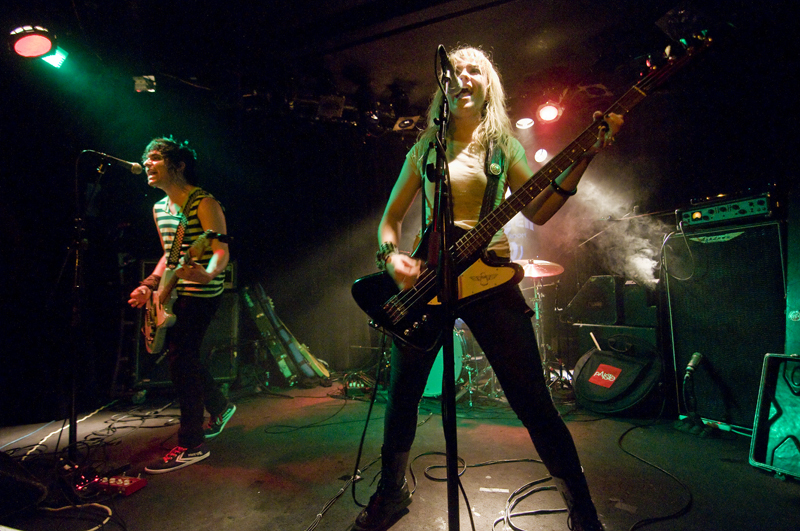 The next couple weeks will be the last time to catch local darlings The Dollyrots live this year! Yep, you heard right. No more touring for the rest of 2013. What?! Kelly just posted a YouTube vid with the news that they'll be working on writing songs for their new record which, she says, will explore their roots and concentrate on more simpler songs inspired by really good melodies and above all - catchy hooks; more in the lines of their debut album Eat My Heart Out, which was released in 2004. Also, sometime this week, their new video for "Twist Me to the Left" will be released which will feature live tour footage from such cities as Dallas, the UK, Los Angeles, Boston and Dublin. Tonight, they play a Stageit show where they'll be playing a couple of new songs they've already written for the new album. Click HERE to purchase tiks.